Ingrown toenails are very painful, and they can also develop dangerous infections. 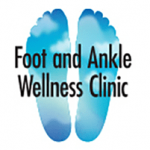 Dr. Mancherian is skilled in the treatment of ingrown toenails and the treatment of the infections they cause, helping patients at the Foot and Ankle Wellness Clinic in Los Angeles and Glendale, California, relieve symptoms and keep their feet healthy. Ingrown toenails occur when the edge of a toenail begins to grow into the soft tissue along the side of the nail bed. Although they can occur in any toe, they most commonly develop in the big toe. Wearing shoes that are too constrictive in the toe area is a major cause of ingrown toenails. Wearing high heels can also contribute to ingrown toenails because the slope the shoe forces the toes forward into the toe area, causing crowding of the toes and forcing nail edges up against the toe skin. Other factors that can contribute to the formation of an ingrown toenail include a family history of ingrown nails, having thick toenails, especially those that have a significant curve, and trimming nails in a curved shape instead of trimming them straight across. Trimming toenails too short can also increase the risk of developing an ingrown toenail. What symptoms can ingrown toenails cause? Ingrown toenails cause significant discomfort and pain in the toe, as well as redness and swelling in the area where the nail is pressing into the skin. These symptoms are worse when pressure is applied to the toenail area and when wearing shoes. When ingrown toenails are not properly cared for, an infection can develop which can wind up spreading to the rest of the toe and even into the foot. Without prompt and appropriate care, people with circulatory or nerve-related problems, including those with diabetes, and people with immune-compromising conditions can develop very serious infections which may eventually lead to amputation. In their earliest stages, ingrown toenails are treated with a simple procedure to trim back the border of the nail causing the symptoms. When nail growth has advanced deeper into the tissue causing significant inflammation and swelling, a portion or all of the nail may need to be removed to allow the toe to heal properly. A special solution can be applied to the nail bed to prevent the nail from growing back into the area for a permanent solution to a chronic problem. Depending on the severity of the infected ingrown nail, topical or oral antibiotics or both will usually be prescribed when an infection is occurring.